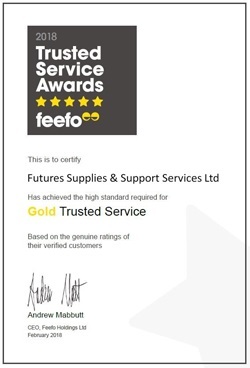 Futures Supplies have been awarded the Feefo Gold Trusted Service Award for the second consecutive year. This independent seal of excellence recognises businesses for delivering exceptional customer experience, rated by real customers. A badge of honour, this accreditation remains unique as all the awards are based purely on the interactions with verified customers. This feedback has been collated by the Feefo review platform, with the accolades being awarded based upon performance. Speaking on this year’s award, Andrew Mabbutt, CEO at Feefo, commented: “The Trusted Service award has always been about recognising those companies that go the extra mile. 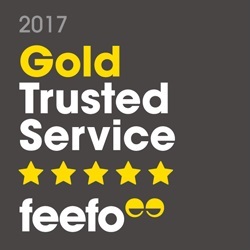 Futures Supplies & Support Services have been awarded a Feefo Gold Service award, an independent seal of excellence that recognises businesses for delivering exceptional experiences, rated by real customers. The award recognises companies that deliver exceptional experiences to its customers and ensures customers receive the best service possible. Feefo is a ratings and reviews, and customer analytics platform. It collects genuine, purchase-verified reviews on behalf of over 3,000 businesses. Feefo ensures that all feedback is authentic, by matching it to a legitimate transaction. Futures Supplies & Support Services Ltd is delighted to have been recognised as an elite winner in the prestigious Small Business Sunday, created by well-renowned business entrepreneur, Theo Paphitis. Small Business Sunday, shortened to the hashtag #SBS on Twitter, was created in 2010 by Theo who is best known for appearing on Dragons Den on BBC Two. He is Chairman of Ryman Stationery, Boux Avenue lingerie and Robert Dyas, as well as joint owner of Red Letter Days..
Each week, Theo rewards businesses that tweet him @heoPaphitis and describe their businesses in one tweet of 140 characters or less including the hashtag #SBS. The team at Futures Supplies, already recognised in the cleaning industry as an innovator and pioneering leader in both business and social media was selected as a recent winner out of hundreds of entries. Following participation in Small Business Sunday event, every Monday night at 8pm, Theo reviews and chooses his favourite six, the lucky six are then retweeted to his followers providing a massive boost to the chosen lucky businesses by increasing Twitter followers, creating positive media publicity and crucially increasing sales! More than 300 companies attended the Croydon Business Excellence Awards Gala Dinner on Thursday, October 1st to hear the best of the best announced. With a community of more than 13,000 businesses, it is Croydon’s entrepreneurial spirit which makes the borough the economic powerhouse of South London. The thriving business community is full of success stories, from tech start-ups and sole traders to companies that have developed from humble roots into international organisations. The ceremony and black tie Gala Dinner was held at Fairfield Halls and Futures Supplies was delighted to be awarded the accolade of ‘Best SME Business’. Councillor Toni Letts, of category sponsors Croydon Council, said, “Operating as an ISO and carbon neutral business, Futures Supplies’ staff training and development programme is exemplary, as is its policy to offer opportunities to disadvantaged young people and commitment to become a ‘Living Wage Employer’. Its support of local as well as national charities is longstanding - a real example of giving back to the local community. Behind this family business lies a genuine success story of a woman entrepreneur who has combated a challenging upbringing and presents a tremendous role model and inspiration to women and indeed all local entrepreneurs. She is really inspirational”. Sustainability is at the heart of Futures Supplies’ business ethos. Aiming to engage people inside and outside of the business, understanding and managing risk and impact, reducing resource use, eliminating waste and making sustainability part of its customer and supplier relationships has always been part of the company's ethos. To take a proactive stance and address its contribution to climate change, Futures Supplies has committed to the Carbon Smart Programme. Being Carbon Smart means taking an intelligent and flexible approach to the continual reduction of its carbon footprint. The Carbon Smart Gold certification demonstrates the practical actions Futures Supplies has taken to actively reduce its environmental impact. It clearly demonstrates the company's commitment to its customers, staff and suppliers. Just like recycling, the Carbon Smart certification makes improving environmental performance part of the everyday running of business. The accreditation ensures business commitment, activities and achievements in sustainability through three stages, Carbon Smart Blue, Silver and Gold and is considered a celebration of accomplishments. To qualify for Gold, Futures Supplies had to provide evidence of its activities which demonstrate continual environmental improvements, as well as achieve agreed goals and targets. Futures Supplies attended several workshops and underwent an independent site review of its waste, energy, water, green purchasing and travel which detail recommendations that the business successfully implemented. Celebrating the best of Croydon's business talent, more than 40 shortlisted businesses out of hundreds of initial entries went head to head in the finals of The Croydon Business Awards 2011. The ceremony and Gala Dinner held at Fairfield Halls on the evening of 13th April saw Futures Supplies & Support Services Ltd presented with a fantastic double win on the night. Recognised and rewarded for our exceptional commitment to delivering sustainable cleaning solutions and for our CSR activities, we were announced winners in both the ‘Best Business for Sustainability’ and ‘Best Business for Community Contribution’ categories. 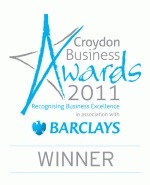 The Croydon Business Awards 2011 in association with Barclays have been developed by South London Business in order to reward and celebrate the most dynamic and innovative businesses in the borough. Futures Supplies was also ‘Highly Commended’ in the ‘Best Business for Training & Development’ and ‘Best Medium Sized Business’. We are living, breathing proof that you can run a profitable, sustainable and successful business and still change lives through engaging and supporting the local and wider community. At Futures Supplies, we see supporting young people as our legacy. Give a young, unemployed person an opportunity …and help to build the future for generations to come. Futures Supplies has not only won the Envibe bronze and silver Award, but has retained the gold award for 5 consecutive years. Envibe, co-ordinated by Croydon Economic Development Company, recognises environmental best practice and rewards businesses that are making positive improvements to their environmental performance through a tiered award scheme. Futures Supplies, one of only nine companies to receive an Envibe gold award in Croydon, embraces environmental and corporate social responsibility best practice into the business and has been part of the Envibe programme since its inception in 2004. To qualify and retain the gold award, Futures Supplies is annually reviewed by Envibe and must provide evidence of its activities which demonstrate continual environmental improvements as well as achieve agreed goals and targets. To help them achieve this, Futures Supplies underwent several site visits from the Envibe team, along with independent reviews on its waste, energy, water, green purchasing and travel which detail recommendations for the business to implement. Futures Supplies are delighted to be successful in collecting a gold Envibe award again in 2010. This is further endorses the company's consistency and long term commitment to its environmental and CSR projects, performance and management. The Sun have teamed up with Barclays Bank to showcase local businesses who are defying the recession. 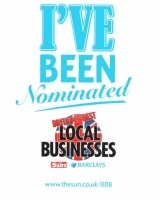 Recognising that local businesses are at the heart of the community and the backbone of the economy the awards are backed by Dragons Den Theo Paphitis and the London Mayor Boris Johnson. Futures Supplies is delighted to have been nominated and featured in The Sun on Friday 22nd May 2009. Futures Supplies was named a 'Green Hero' and presented with a prestigious Green Heroes 2009 Wall Shield by Professor David Bellamy OBE on behalf of The Green Organisation aboard the Royal Yacht Britannia, Edinburgh in recognition of its environmental project – Focusing on the Future. The award-winning project will be featured in the next Green Book, the world’s only work of reference on environmental best practice. The Shields are awarded annually in recognition of companies, councils and communities carrying out projects that enhance the environment and wish to share their experience and knowledge with the world. Futures Supplies Office Manager, Andy Hills has achieved the well deserved honour of commended ‘Green Champion’ at the South London Green Guardian Awards. Andy has always had a real passion for the environment and has been the company’s ‘Green Champion’ since 2004. His involvement in numerous diverse initiatives and activities has benefited the environment, the company, its partners and the local and wider community. Now entering its fourth year, The Green Guardian initiative is a unique partnership between Newsquest South London, the leading media company in the area, South London borough councils, commercial businesses and organisation who share passion for the environment. Andy’s entry demonstrated that he is environmentally aware, proactive, community-minded and dedicated to taking a lead in environmental change. Identifying ways of improving environmental impact through energy and resource efficiency has seen also seen Andy achieve considerable financial savings for the company. He is an inspirational role model well deserved of this individual recognition. 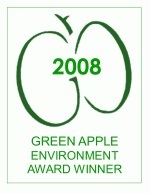 A ‘Green Apple Award’ for environmental best practice is an impressive accolade. Inspirational and hard won recognition of Futures Supplies' outstanding commitment to its environmental and CSR project. The award-winning project will be featured in the next issue of the Green Book, the world’s only work of reference on environmental best practice. Independent The Green Organisation is non-political, non-activist, non-profit environment group dedicated to recognising, rewarding and promoting environmental best practice around the world. The Green Organisation’s annual Work of Reference has become invaluable to environment professionals around the world. The content is drawn from Green Apple award-winning papers to enable others to follow the environmental lead set by winners. Funded by membership and sponsorship, The Green organisation is supported by the Environment Agency, the Chartered Institute of Environmental Health, the Chartered Institution of Wastes Management, the Municipal Journal and several other professional bodies. The annual international awards ceremony took place at the House of Commons and Campaign Manager Mark Wolens commented, “To show continued interest in environmental issues during the current financial climate shows foresight and Futures Supplies deserve the recognition of being Green Apple winners". Futures Supplies has been recognised for the third successive year with a ‘Big Tick’ for demonstrating that it is improving its business and its overall impact on society - in the marketplace, the workplace, the environment and the community. Responsible business sometimes referred to as corporate social responsibility or CSR is at the core of Futures Supplies business programmes and strategies not just a bolt on to its operations. The company’s submission ‘Focusing on the Future’ incorporates a commitment to the community, charity, the environment and diverse initiatives encompassing supporting disadvantaged young people and programmes to improve its positive impact in society, not just minimise their negative impact. Stephen Howard, Chief Executive of BITC commented, "The decision to award you a big tick has been made by a panel of independent, experienced practitioners, and such is both hard won and highly prestigious. I am delighted to be the first to congratulate you on your achievement". Now in its eleventh year, the Awards for Excellence are run by Business in the Community, a unique movement of over 800 companies, representing one in five of the country’s private-sector workforce. The BITC awards are the most prestigious Corporate Social Responsibility awards in the UK and are rigorously assessed and widely recognised as a powerful benchmark of good corporate practice. The Best of Borough Awards are a showcase for the most successful businesses in Croydon. Organised by Croydon Business Ltd to recognise the cream of Croydon Companies, the black tie event was held at Addington Palace on November 22nd. Futures Supplies was announced the winner of ‘Best Commitment to Corporate Social Responsibility’. Carbon Neutral, Futures Supplies is very vocal on green issues and heavily involved in diverse projects including work placements for young disadvantaged people, charity fundraising and increasing customer awareness of product impact on the environment. The judges commented, “Complete unwavering commitment from Mandie Kemp and her staff. The judges felt the company shows leadership in their industry and in influencing the supply chains. For a small company they have made impressive and relatively costly, investments in CSR initiatives”. To reward and recognise dedication to developing and maintaining a high quality travel plan, Futures Supplies has been awarded the first Seltrans ‘Travel Plan of the Year Award’ 2007 at a glittering and informative awards ceremony held at Cafe Royal, London. This prestigious award is one of only three awards given each year, the other two being ‘Travel Plan Coordinator of the Year’ and ‘Innovative Travel Plan Project. A Travel Plan is a package of measures that are tailored to the needs of companies or organisations to improve sustainable transport options and reduce single occupancy car use. Developing a Travel Plan helps reduce congestion, pollution and other transportation impacts on London whilst still allowing businesses to continue to grow and expand. Futures Supplies was recognised for its Travel Plan initiatives including the purchase of four pool bikes and the installation of a shower to encourage the use of green sustainable travel to its workforce. Consequently, at least four members of staff now cycle to work and car sharing and use of the Croydon tram and public transport system is a regular part of travel for staff, reducing cost and promoting a healthy lifestyle. The company has also introduced home working and regularly promotes its travel initiatives through the company’s newsletters and regular PR. By providing driver education through additional driver awareness training carried out by the RAC, along with the installation of vehicle tracking using a GPRS, Futures Supplies benefits from savings on insurance premiums, better fuel efficiencies, as well as offering the latest information to customers on the location of their deliveries. The company also runs two Toyota T-Spirit Prius 1.5VVTI Hybrids in its fleet that offer an intelligent combination of an electric motor and petrol engine, resulting in outstanding fuel efficiency coupled with reductions in CO2 emissions. The Government and the Mayor of London back travel plans as a means to promote greener, cleaner travel choices and a shift towards sustainable transport options within the business community. Seltrans offers advice and support in developing a travel plan as well as giving businesses/organisations the option of accessing funding and measures to ensure the travel plan is a success. Recognising how organisations are moving forward with viable environmental and sustainable technology solutions, Futures Supplies successfully scooped the 2007 National Environmental and Sustainable Technology ‘Green Marketing Award’. The 2007 EAST Awards, a black tie Gala Dinner event hosted by Lord & Lady Palmer was held at the House of Lords, and were open to entries from both the Private and Public sectors. The event brought together environmental leaders and industry providers of products and services to celebrate their environmental innovation and environmental and sustainable technology solutions. Judged by a panel of senior industry insiders headed by David Lemon, Environment Industries Commission, Futures Supplies was delighted to collect the ‘Green Marketing Award’ in recognition of its successful marketing influence encouraging not only customers, but also suppliers and their local community in the importance of ‘green’ issues. The company successfully illustrated its environmental contribution in enabling its clients to reduce their environmental impact through the availability of green products and information on sustainability and its environmental activities through its regular newsletter and on going press campaign. The judges commented that they had a hard time judging the awards this year as there were so many great sustainable entries. Judging from standard criteria they finally arrived at the justified clear winners, and Futures Supplies was a deserved winner recognising that the company’s influence over others in relation to environmental issues really matters. To inspire, engage, support and challenge businesses in continually improving their impact in the community, the BITC awards are the most prestigious Corporate Social Responsibility awards in the UK and are rigorously assessed and widely recognised as a powerful benchmark of good corporate practice. Winners: 'Customer Service Award' , 'Small Business Award' and 'South London Company of the Year Award'. Recognising enterprise and dynamic entrepreneurship the 'South London Business Awards' represent the cream of South London Businesses. Futures Supplies swept the board at the 2007 Awards collecting not one, but three prestigious awards. At the ceremony held in a giant marquee on the pitch at Selhurst Park, home of Crystal Palace Football Club, the company walked away with not only the Customer Service and Small Business Award, it was also awarded the highest accolade on the evening of ‘South London Company of the Year’. The unique and inspiring evening attended by over 400 leading business people was hosted by Capital Gold DJ David Jensen who announced the winners in a total of eight award categories. The winners were selected by a high-powered panel of judges headed by Phil Walker, Director of the Royal Bank of Scotland who commented, “Mandie Kemp is an excellent ambassador for South London business. Her company, Futures Supplies & Support Services impressed the judges and she has been awarded three trophies including South London Company of The Year, the highest accolade and proving that excellence can be achieved in all areas of business". Recognising that as a business in the UK you have to work harder and smarter for success, The British Chamber of Commerce Awards provide the opportunity for recognition on a national scale for the hard work and achievements of businesses. The Regional ’Business of the Year’ award was awarded to Futures Supplies for demonstrating all-round excellence in business. The judging was focused on financial performance and future objectives, the competitive advantage of the business, and especially looked at examples of specific strategies which have driven business growth. The company provided evidence and a compelling story of a business that understands its market and customer needs and places these at the forefront of its strategic development. Peter Mileham, President of the BCC, said, “Futures Supplies & Support Services Ltd is a business that really stands out from the crowd. The competition was fierce. Making it to the short list is tough and winning is reserved for only the very best." Mandie Kemp was also highly commended in the category of ‘Entrepreneur of the Year’. This award was presented for an individual who stands out in a crowd and has been instrumental in the success of a business taking into consideration the overall business performance of the business over the years and vision for the future of the business. A unique partnership between the Guardian Newspapers and local authorities was set up to recognise companies who help protect and improve the environment. Companies are judged on what they do to limit the environmental impact of their business plus anything extra they do to improve the local environment. Futures was successfully nominated and awarded the top accolade in two out of the five Boroughs for taking the environmental lead and recognising the way forward to a more sustainable future. The prestigious ‘Business in the Community Awards’ in association with the Financial Times and sponsored by the Department of Trade are the most prestigious Corporate Social Responsibility awards in the UK. Rigorously assessed and independently assured, the awards are powerful benchmarks of good corporate practice. The Awards, which are now in their ninth year, are run by Business in The Community, a unique movement in the UK of over 750 member companies whose purpose is to inspire, engage, support and challenge business in continually improving its impact in the community. Futures Supplies received the widely recognised ‘Big Tick’ for demonstrating that through leadership and interrogation of corporate responsibility, it is improving its business and its overall impact on society - in the marketplace, the workplace, the environment and the community. Croydon Guardian in partnership with Croydon Council set up to recognise, find and honour the town’s unsung heroes through the Croydon Champion awards. Croydon is one of the UK's largest commercial centres with over 13,000 businesses ranging from new start-up enterprises to SMEs, blue chip company HQs and major multi-national corporates and has a reputation as a leading 21st century business centre with a unique transport infrastructure. Futures were awarded ‘Business Champions 2006’ for its outstanding commitment to business, enterprise and innovation. The Awards organised by the CHSA and independently assessed are designed to give distributors of janitorial cleaning and hygiene products a clear picture of what their customers think about their company’s service levels. The biennial survey is carried out by an independent and a personalised report is provided along with an aggregate summary of all participants’ results enabling the distributor to bench mark its performance against the industry as a whole. Futures Supplies has been successful in achieving this recognition consistently since 1997. The awards supported by the Surrey Chamber of Commerce and Surrey Economic Partnership recognise the brightest and best in Surrey. Managing Director, Mandie Kemp was recognised for her hard work and determination and awarded the only individual accolade of ‘Surrey Business Person of the Year’. A high powered panel of judges made up of the areas leading business people chose the winners after a site visit and Valeria Handley, Managing Director of Eagle Radio FM announced that Mandie had been selected for her strong niche in the market and for growing a profitable business. She told the audience, "This was a very difficult decision but in my opinion, Mandie ticked all the right boxes to win this award". The Lord Mayor’s prestigious Dragon Awards celebrate annually the contribution made by London companies towards the social and economic regeneration of their local communities. Now in its 19th year, the awards have seen community involvement become an ever more important part of business culture in the UK. Futures was short listed as only one of three finalists in these prestigious awards in October 2005 and 2006 for demonstrating a long-term commitment to a wide-ranging programme of community engagement characterised by outstanding levels of staff involvement at all levels of the organisation. Celebrating green purchasing and in recognition of outstanding achievement in sustainable purchasing, the Green Procurement Code Awards were set up in 2003 in association with London Remade. Futures was recognised in the category of ‘Best performing small to medium sized enterprise’ in 2005, being one of only three company’s short listed for its commitment to identify opportunities to recycle waste and purchase sustainable products after submitting data that is verified by independent environmental consultants. The awards look at the annual total tonnage of material diverted from landfill, CO2 emissions saved and the total spend on recycled products. Run by Croydon Business, the ‘Best of Business’ awards are designed to recognise and reward the most successful organisations in the borough. Futures was awarded the top prize in the category of ‘Best Commitment to Corporate Social Responsibility’ for its on-going CSR projects in the support of care-leavers and its commitment to its environmental project. The company was recognised at an awards ceremony after submitting hard evidence and a panel of high-powered judges carried out a site visit. Futures went on to be named the overall ‘Winner of Winners’ because it impressed the judges with its inspirational commitment to the CSR project and growing a successful profitable business. 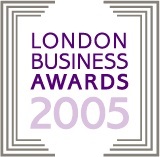 The London Business Awards celebrate the achievements of businesses and individuals in the capital, their enormous contributions vitality, diversity and success. Mandie Kemp was nominated as a finalist in two categories of ‘Business Woman of The Year’ and ‘Entrepreneur of the Year’. The awards are organised by The London Chamber of Commerce and attract widespread attention with both ITV London and the Evening Standard as media partners.